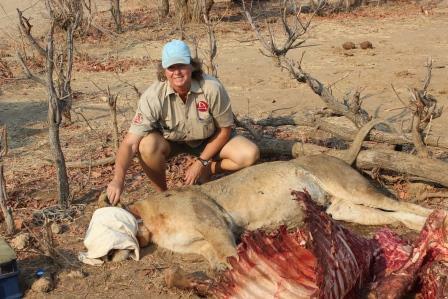 Jane comes from a professional safari guiding and safari camp management back ground. She was the first woman in Zimbabwe to qualify as a Professional Safari Guide and specialised in horseback safaris for many years. She joined Hwange Lion Research in 2003 and has since been running the fieldwork and helping with the management of the project in Zimbabwe.